يحظى فندق Base Auckland بمكان متميز في محور المدينة والاستمتاع بـ مطاعم, سياحة, تسوق في هذه المنطقة الفاتنة. يقع مركز المدينة على بعد 0 km فقط. ويمكن الوصول إلى المطار خلال 30 دقيقة. إن سهولة الوصول من الفندق إلى المعالم السياحية الشهيرة الكثيرة في المدينة هو استثنائي بحد ذاته. كما يقدم Base Auckland الكثير من الخدمات لإغناء رحلتك في المدينة. لضمان راحة ضيوفه، يقدم الفندق الخدمات التالية: مكتب الاستقبال على مدار الساعة, مرافق مخصصة لذوي الاحتياجات الخاصة, تخزين الأمتعة, واي فاي في المناطق العامة, التوصيل من وإلى المطار . تنعكس أجواء Base Auckland في غرف الضيوف.تلفزيون بشاشة مسطحة, غرفة معيشة منفصلة, كاشف دخان, اتصال لاسلكي بالإنترنت, غرف لغير المدخنين هي بعض الميزات الموجود في العديد من الغرف. كما أن مجموعة الخدمات الواسعة الموجودة في الفندق لضمان راحتك تترك لك الكثير من الخيارات لقضاء وقتك أثناء فترة إقامتك. إن Base Auckland هو خيارك لخدمة الفنادق الراقية في المدينة. 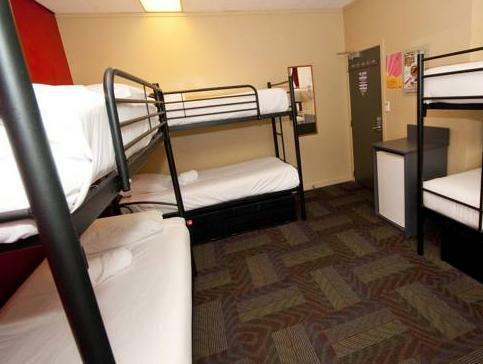 One of the most horrible hostel I never see. It's very noisy. All hostel smells horrible. The rooms are dirty, the housekeepers don't clean the floor every day. My sheers wasn't clean when I arrived in the room. 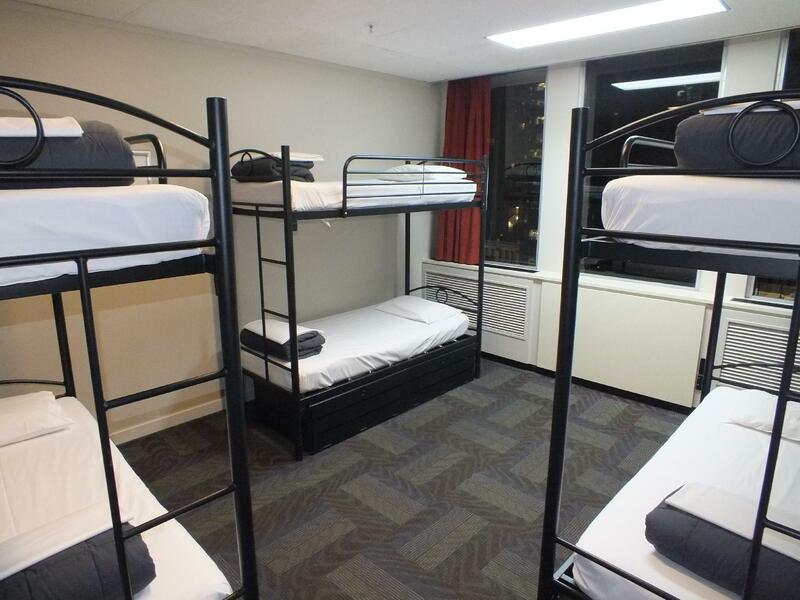 For the shared room, I passed 3 nights in a dorm with three dirty men with all them mass. I couldn't see the floor. It was difficult to just open the door for enter in the room. Don't go in the room 904 it's just a big trash. And I think it's not the only one. I can understand how and establishment like this one can be in your website. Arrived in Auckland after an 11 hours flight. Excellent location, close to almost everything. Receptionist Stephen was very nice to offer us a quiet room at 9th floor for a good rest. Too bad we woke up at midnight and were horrified to find out that we were surrounded by bed bugs. Couldnt sleep for the rest of the night but didnt want to trouble the staff because its too late. We ended up traveling with bug bites all over our neck, hands and legs and couldn't sleep for the other few nights because they become super itchy at night. Our advice is to always check your bed before you sleep. I was traveling solo with my 3 year old daughter, and hilariously booked this hostel by mistake. If you want to "do" downtown Auckland and catch a ferry or ongoing bus - this is a great location. The staff were absolutely lovely and so accommodating with my little one, moved us to a quiet room near the lifts and reception. This was a busy little hostel, nice upstairs bars, tonnes of tourist information especially if you are a backpacker. And we felt very welcome even though Gisele (4) was probably their youngest backpacker ever! Thanks guys & the lovely lady on reception. Location cannot be beat as the airport bus deposits you right in front. There were noise issues, though, as the rooms were located above a bar and there were noisy patrons talking loudly outside the bar until 2.30am. As it is main focus for backpacker, there are facilities for just enough and very essential for all backpackers. Reception and Kitchen located at Level 3. 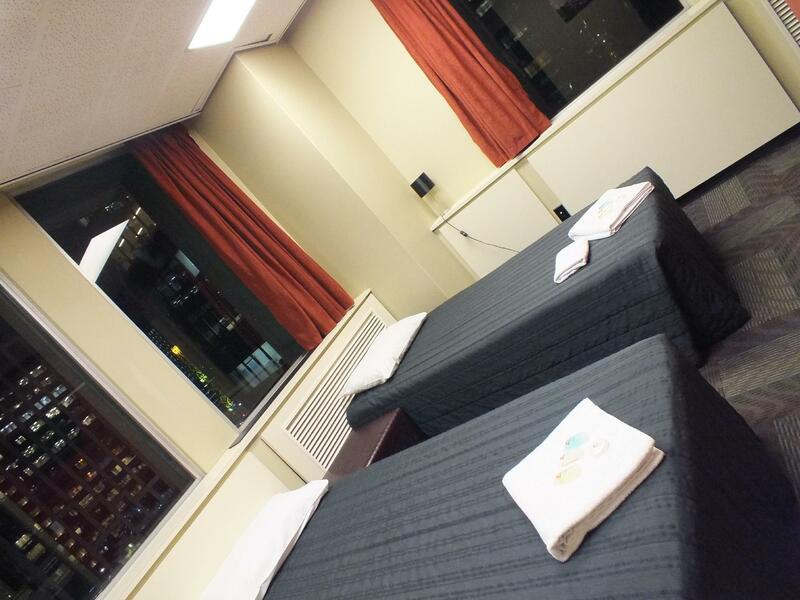 Rooms are located at upper floor. Easy access from main street (Queen Street) and simple check in/out procedure for travelers. Room is not spacious but just right. Location is central and atmosphere is good. 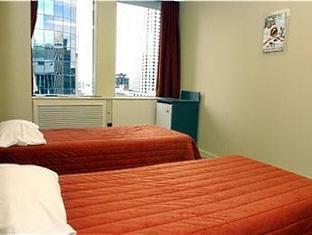 Base Auckland is centrally location, just a few steps down from the bus stop where the airport bus will drop us off. It is a street away from the skytower and many food options are available along the whole of queen street, where Base Auckland is located. Security is good as well as one will need the key card to activate the elevator to reach the levels where rooms are located. Toilets are clean and staff are friendly and helpful. Really nothing unpleasant came up during the stay, great job and hope they keep up the good work! Our room was really dirty, the blankets were obviously not freshly washed and the room had a bad smell to it. Only one shower was working for the females, the blow dryer was broken and we had two female toilets for the whole floor. The rooms had such thin walls you could hear everything from the rooms next to yours. Overall I didn’t enjoy my stay! Hi mate and thanks for leaving a review! The reason you were asked to leave was you were not checked in and didn't have a reservation for the upcoming night. 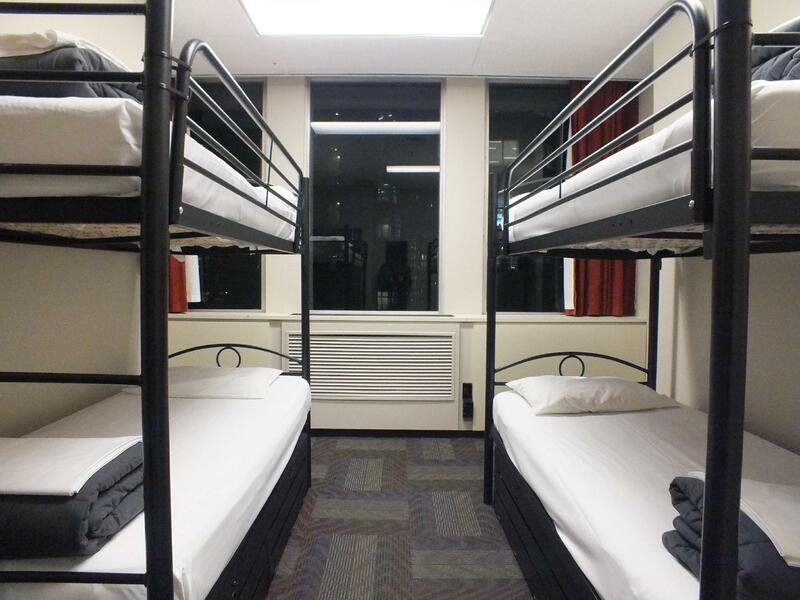 You have previously been around the hostel using the common areas without a reservation and been asked to leave before. Further to this, and despite the fact you leave us so many bad reviews, you keep returning. If we are such a terrible hostel as you describe then it is curious as to why you keep coming back. With your mum and aunt, I had a translate app available throughout our conversation which they could understand. My apologies if they were uncomfortable, it is my job to ensure that paying guests can enjoy the hostel; it is not for anyone to just come in and use. Thanks ^Andy! The place is very nice and just comeback again since it’s very convenient but I was showing the place to my parents we were in the kitchen so I was going to check in , but I’m so busy with school and stuff after going south so have many things .... well Andy came screaming at the kitchen where I’m staying for long time ! And only this 2 weeks I was away and blaming than I was using the facilities when I wasn’t even in town so rude in front of them and asking my mom and aunt which room they were staying when I already told him I haven’t check in but I was going to do it after school. And told me than I was banned to use the place and to check in than i can’t anymore. I talked to other receptionist they are very nice about this and I hope this guy leave the place seriously !!! Many people complain about him but since backpackers just travel for a 1 or 2 night it’s ok for them . Oh he said I already did a review about him and he thank me so here we go again you can thank me again !! Hi mate and thanks for leaving a review! The reason you were asked to leave was you were not checked in and didn't have a reservation for the upcoming night. 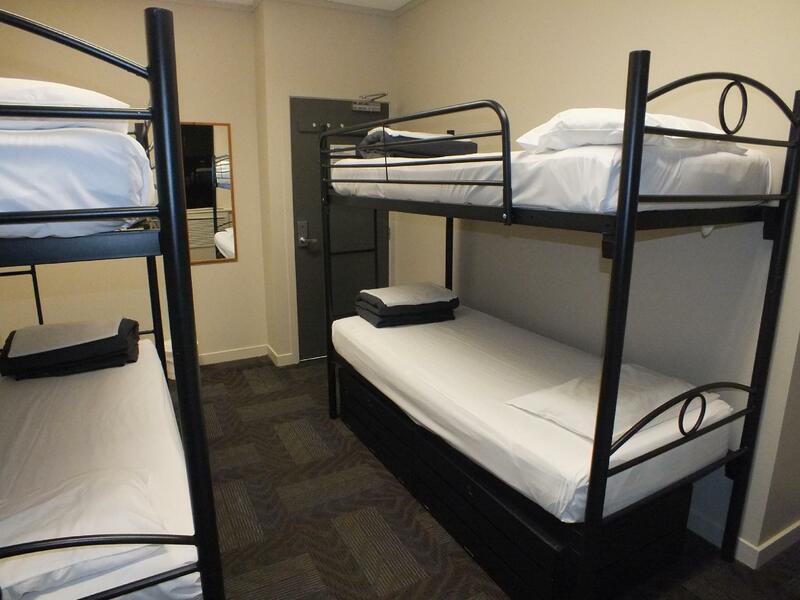 You have previously been around the hostel using the common areas without a reservation and been asked to leave before. Further to this, and despite the fact you leave us so many bad reviews, you keep returning. If we are such a terrible hostel as you describe then it is curious as to why you keep coming back. With your mum and aunt, I had a translate app available throughout our conversation which they could understand. My apologies if they were uncomfortable, it is my job to ensure that paying guests can enjoy the hostel; it is not for anyone to just come in and use. Thanks, again ^Andy! The place it’s ok for a few days as a traveler but when u stay more days it’s get complicated with some staff as the one mentioned ( Andy ) very rude scream at me ! As I ask to change a room and telling me lies about I was asking for that everyday ! Seriously! Plus his attitude from the beginning very lazy and feels like the boss of the place when he’s alone ! Oh and asking me to leave at night already and make a refund than I paid in advance, that night couldn’t sleep , the room has a hole in the Ceiling from ac... , they thing I complaining everyday now because of it ! I heard from another’s staff that ok If I pay I’m asking for what I paid as a customer so this people doesn’t have any idea how to work as staff since are travelers !! !could say more things but this was beyond too much. thanks for the manager who apologized and even offered me a free breakfast for the problem , that’s customer service ! Most of the staff are very nice and helpful I appreciate it always there. staff isn't that great, not very friendly and just trying to get rid of you fast. the hostel is good. 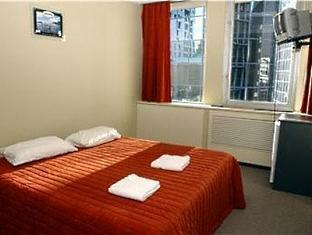 comfortable beds, spacious rooms, cleanliness is okay, not loud. all in all I am very satisfied and would come back. place was nice, but can hear every sound from outside. staff was kind. Hostel is huge and rooftop bar is good way of meeting people with cheap drinks. 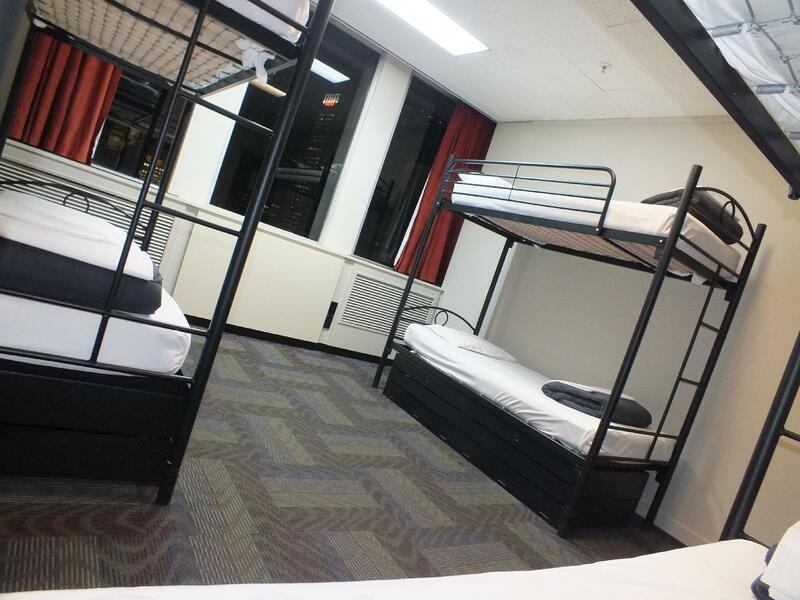 Dorms are fairly typical, not the cleanest and bathroom facilities are somewhat lacking in quantity. When I arrived in New Zealand I couldn't actually afford to leave Auckland and so a few months of work to save up lead me to my 3 month stay at Base. To be honest Base isn't much of a "homey" hostel... the capacity is a few hundred and its always really busy with a lot of people coming in and out but what it does offer is LOCATION! 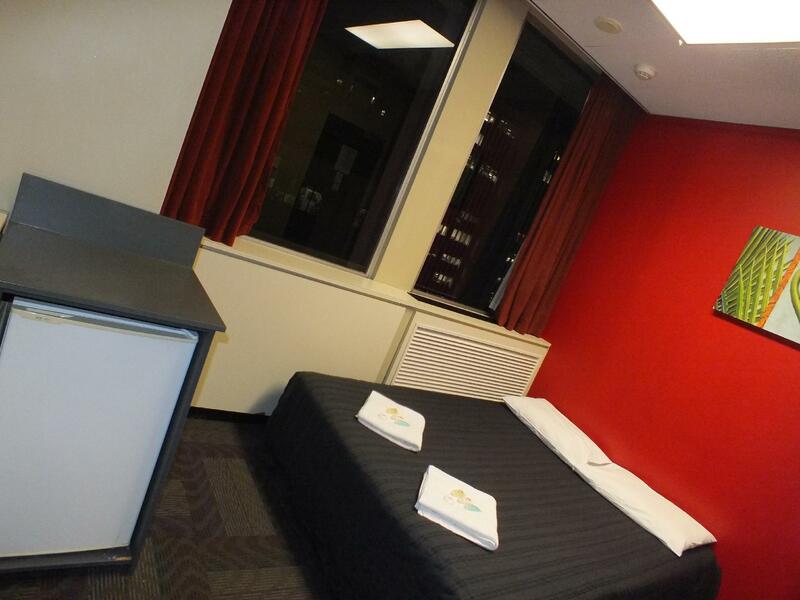 The location being right on Queen street means your no more than 5-10 minutes to everything! My best advice is ask to stay in the Strand- it has bigger rooms and nicer bathrooms!